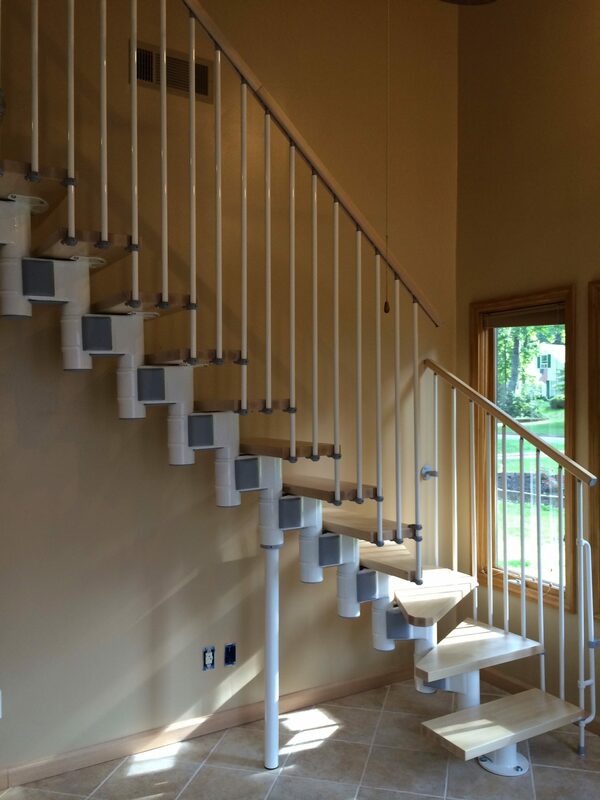 Covered by a worldwide patent, Kompact is the only staircase with adjustable rise, going, height, depth and rotation. 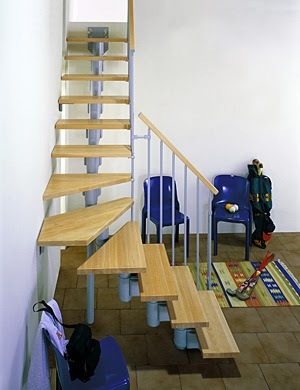 Its total flexibility allows endless configurations, with 1 or 2 one quarter turns (L or U) to fit any space. 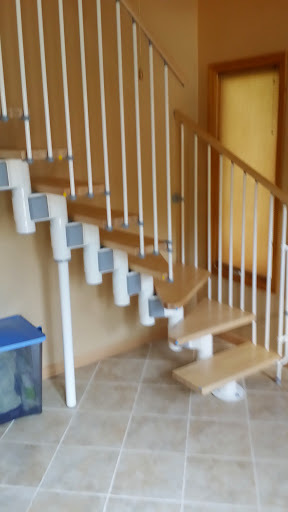 The Kit comes with 13 risers (12 treads) and internal railing. 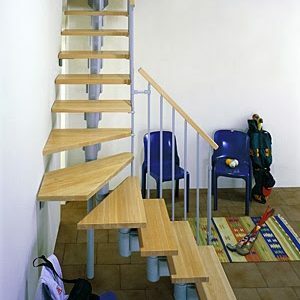 The going is adjustable between 7 and 8 inches and between 8 and 10 inches depending on configurations. The riser is adjustable between 6 and 9 inches. With the purchase of one or more tread kits you can reach a height of 146 inches. 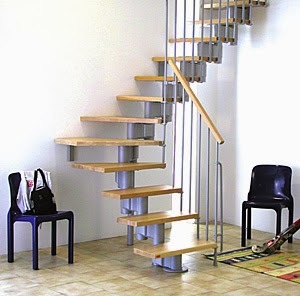 The treads are clear sealed solid beech with metal supports and matching balusters and accessories. 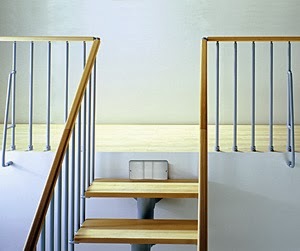 The handrail is solid beech. 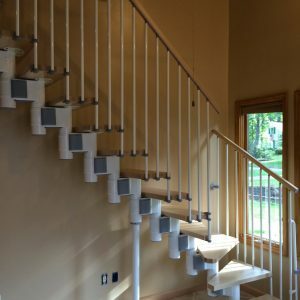 In place of a knee or half wall along your top floor or opening, balcony rail kits of identical materials and finish are available to complete the contemporary appearance of your staircase.